Miami’s Restore Medical LLC: Drs. 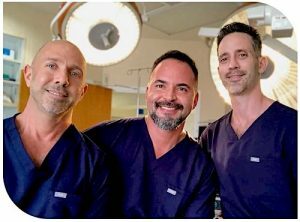 John Whitehead, Christian Quintero, and Alain Ramirez are currently accepting new patients seeking MtF GCS procedures ($15,000 and they DO accept insurance) as well as other transition-related procedures. Additional services provided are hormone therapy, pap smears, and numerous other procedures. Visit their website at www.restoremedcenter.com to find out more! For your surgical recovery, New Beginnings TLC teamed up with Restore Medical to provide patients with top-notch, affordable, comfortable care. When contacting them from this page, please provide reference code 0214. Your contribution in any amount will help us make dreams come true! The New Beginnings Retreat is a sanctuary. Thank you both for looking after Nik with loving care and making this new journey so easy and pleasant. Keep up the excellent work! I can’t imagine staying anywhere else! I had so much fun hanging out with you and the other guys. This retreat made this huge step in my transition a little bit easier to take And I know my mother really enjoyed the vacation. Thank you for EVERYTHING and I can’t wait until the reunion cruise!!! Each of you is here because of a journey. That journey is different for everyone. In the end it’s all about self-discovery and becoming the person you were mean to be. It doesn’t matter if you’re the one having the surgery or not. This is still a time to be embraces and experienced completely. When you leave just make sure that the light you possess inside you shines at least a little bit brighter. You are meant to be!